Ever since the HP Slate was unveiled a short time ago, its been dubbed the “iPad killer.” Since we first saw Steve Ballmer parading around CES 2010 with it, we all have thought it had the potential to be what the iPad isn’t. And so far it looks as if it holds true. 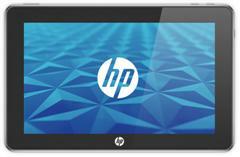 The upcoming HP Slate runs Windows 7, supports Flash, offers USB connectivity, a memory card reader, and a webcam. The Intel Atom processor will also be onboard. As for pricing, rumors suggest that it will be priced at around €400 which is the equivalent of $546. This price is not definite for the US, the information was translated from the Spanish tech site Clipset. It is expected that HP wants to undercut the iPad, so there is a chance the price will be adjusted accordingly at the time of the release. Speaking of the release we hear it will be sometime in June and will arrive in Europe sometime around September.